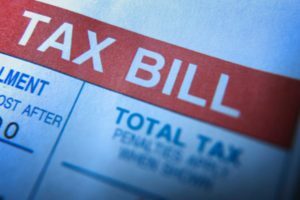 IRS Tax Attorney Downers Grove: Should I Have This Tax Bill? Why Should I Have This Tax Bill? We regularly speak with hard-working, wage-earning people in tax trouble. They often call into our IRS tax attorney office because their employer failed to deduct enough income taxes from their paycheck, and therefore they are forced to somehow pay a tax bill that they did not expect to pay. We know that the IRS can be very aggressive, and that makes the process very intimidating. Furthermore, these people are financially just surviving, and cannot imagine how to pay another bill – ESPECIALLY A TAX BILL. They’re already paying taxes! The other most popular concern is the payment of interest and penalties. How can you stop the interest? Can you reduce the penalties? 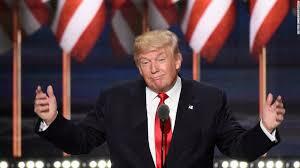 Finally, as any hard-working, middle-class, taxpaying family wants to know, who is accountable for this tax bill? Why was there an “under-withholding” of tax? And further, what can they do about it? We understand the problem, and we have heard this scenario many times before. This is not really the work we do, BUT people still need answers. (Lately, we seem to get a lot of calls from Aurora IL and Bolingbrook IL employers.) So we’d like to share this information, just to offer help. There’s not really any action that a person can effectively take against his/her employer, especially since that employee received the in-pocket benefit of any under-withholding. Additionally, the IRS will not offer relief on any interest payment. But possibly, the amount of the payment is more troublesome than the amount of the interest. 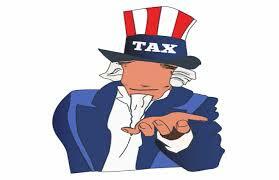 Contact the IRS immediately (800-829-3903 is the IRS’s number for cases in collection.). Inform the rep that you have a payment plan that is not affordable. You may request a new plan. Base the payment upon the IRS’s standard formula for a monthly payment of 1/72 of the current liability. For example: an IRS liability of $6,000 / 74 = $83 monthly payment. NOTE: This formula does NOT apply to unpaid tax liability over $50,000. The initial error is often the amount the employer withheld from the employee’s pay. There are lots of factors that contribute to there being an under-withholding. It happens. It is not necessarily any one person’s fault. Just remember to move forward by having the employer withhold more. As many people know, any refunds from future-filed tax returns will automatically be applied to outstanding liability. This form of payment will help reduce or even fully pay the liability. So, if a worker or family is expecting a tax refund soon, at the least, know that it will help eliminate this liability problem. We wish you the best and truly hope this information helps you. If you are in need of an IRS tax attorney in Downer’s Grove, be sure to contact our offices immediately. We can help you find the best way to deal with the IRS and move forward with your life.